Is the Moon Really Made of Cheese? This NASA moon rock was collected by astronauts on the Apollo 14 mission to the lunar surface in 1971. A lot of kids are led to believe this, at least for a time when they are young. And there was a time when even the smartest scientists didn’t know what the moon was made of. But today we know that the Earth's moon is like a rocky planet, and in some ways not unlike Earth itself. We actually have samples of moon rocks brought back by the Apollo astronauts, and the moon rocks are about 4.5 billion years old, older than rocks found on Earth. 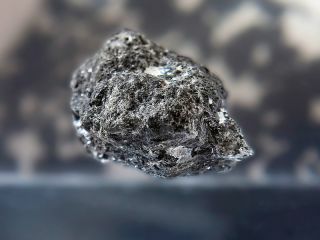 These rocks are thought to date from the formation of the moon — just after the Earth formed — and provide a good estimate of its age.